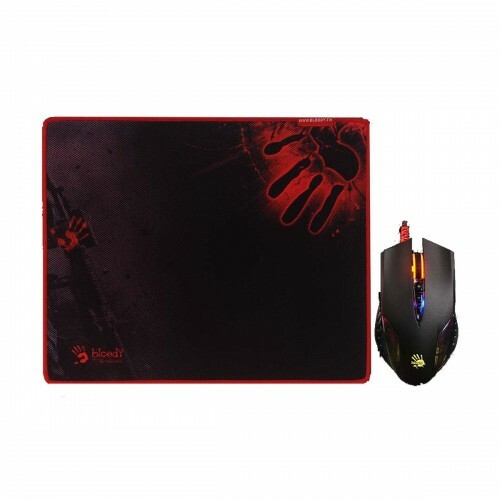 The A4 Tech Bloody Q8181S Neon X Glide Gaming Mouse comes to you with an added bonus which is the Mouse Pad made the same brand A4 Tech Bloody. This mouse is very comfortable and easy to use. Having the Gaming Engine Sensor 2.41M Pixels/sec, 6,666 fps Frame Speed, 20 g acceleration, 60 ips Tracking Speed 125 Hz/sec with report rate 1 m/s key response allows the gamer to have the best feel for the game and also enhances the in game mobility. The life span of the mouse is over 10 million clicks and this is really a lot of clicks. 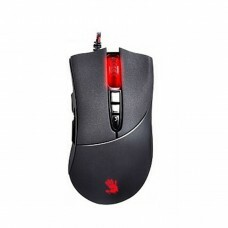 There are many buttons that creates many advantageous situations for the gamer only. 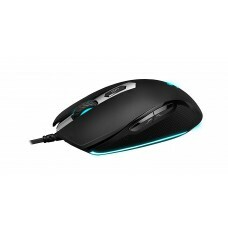 The added bonus to this mouse is the neon lighting that provides more experiencing feel to the game. 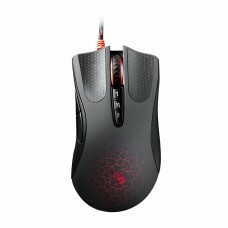 Finally it also added another bonus, which is the 1 Year Warranty on the mouse. So who ever buys the mouse has a win win situation for himself.